Right: Testimonial Dinner in honor of Benny Miller tendered by Zembrover Branch 149 W.C.
Photo, far left: Benny is in the back row, on the extreme left. 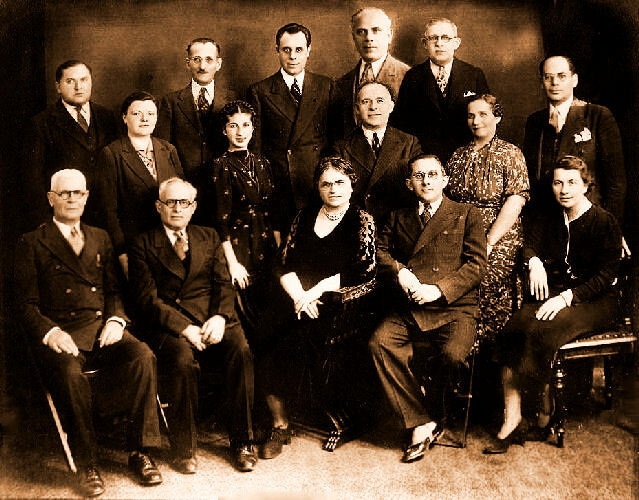 Photo, above: Benny is in the middle row, on the extreme left. 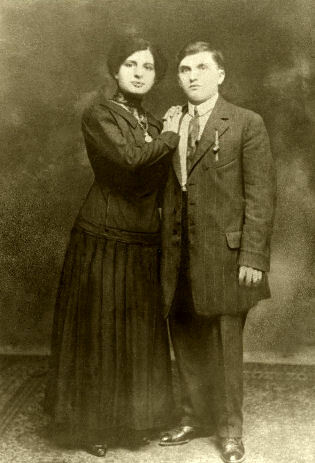 Benny Miller (formerly known as Mlecarz), the second of eight children of Moshe Enoch and Chana Zissel nee Charfa, arrived from Zambrow in 1910. He was a tailor in the cloak manufacturing business. In 1911 he met and married my grandmother Mollie (known as Musha) Rachelson. He, his brother-in-law Ben Cohen, and his friend Mr. Plofsky joined the Zembrover Branch #149 of the Workmen’s Circle, which was also known as the Arbeiter Ring. By 1926 he had become an officer in the Branch. He was instrumental in seeking out, selecting, and negotiating the purchase of the Workmen’s Circle Camp Kinder Ring in Hopewell Junction, New York, located about seventy miles north of New York City. During the summers of 1927 through '31 his three daughters worked at the camp as either counselors or canteen workers. The camp is still active today. In fact, campers recently celebrated their eightieth reunion. Sometime during his forties he became ill and couldn’t sew anymore. He frequently lost his balance limiting his ability to travel to work. Throughout this period though, he remained active in the Workmen’s Circle. 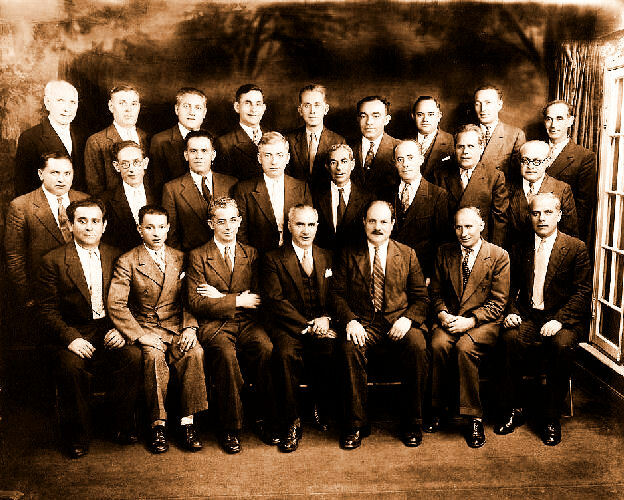 In 1936, to show their gratitude for all his dedicated service to the Workmen’s Circle, the Branch purchased a bakery (the Four Star Bakery located on Nostrand Avenue and President Street in Brooklyn, New York) and appointed Benny the manager. Although all Benny could do by then was to sit at the cash register and be the cashier, he was productive. His wife and two of his daughters helped out as salesgirls. His youngest daughter stuffed jelly doughnuts before going to high school every morning. Abe Leff in cooperation with the Cake Bakers Union Local 51 and the Workmen’s Circle ran the operation. In 1942, rationing of sugar caused by World War II put an external strain on the bakery. It closed just before the war ended. Benny passed away in Oct 1946. He and Mollie are buried in the Workmen’s Circle Section at Mt Hebron Cemetery in Flushing, New York.